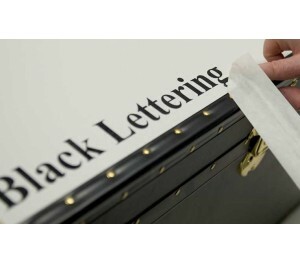 Personalise your tuck box or trunk with self adhesive vinyl cut lettering. Can be applied to all Leathergrain coloured tuck boxes and storage trunks only. 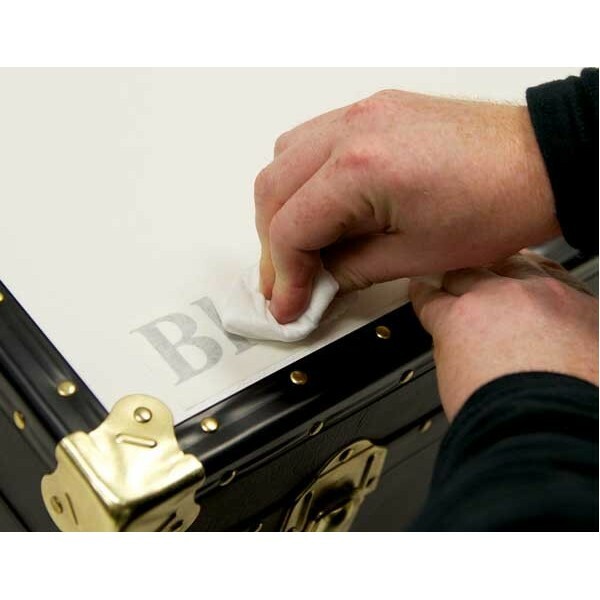 Supplied with easy instructions on how to apply to your Mossman Trunk. 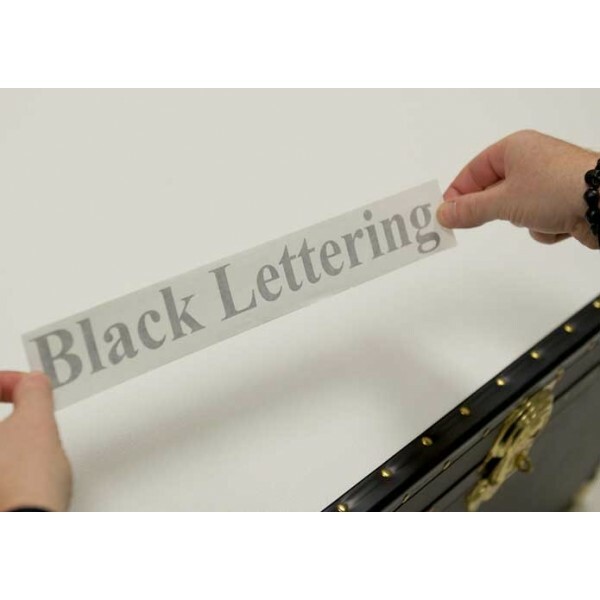 Please note we will not apply the lettering for you, so you can place it on your trunk where you wish. PLEASE SUBMIT THE LETTERS & TEXT YOU REQUIRE BY CLICKING THE 'PRODUCT CUSTOMIZATION' TAB ABOVE and enter your details there before adding to basket.